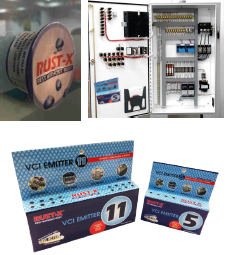 RUST-X VCI film is manufactured using a patented process and structure. The film is manufactured on a 3 layer, multilayer co-extrusion plant combined with laminated outer barrier layers comprising of Aluminum Foil. 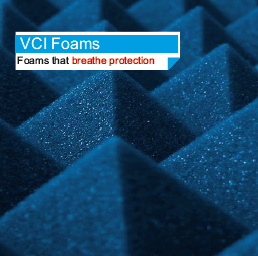 The combined structure offers a very low oxygen and water vapor permeability combined with VCI properties. 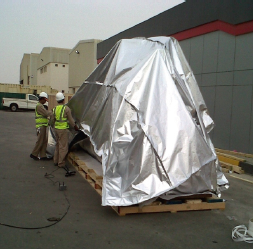 This is ideally used for packaging of food products or from equipment packaging for long term storage and transportation. The VCI molecules on the inside work by evaporation and condensation on the cooler metal parts and prevent corrosion wherever they settle. 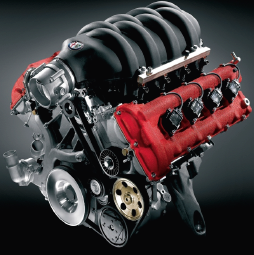 In effect a corrosion inhibiting layer comprising of macromolecules is deposited on the part. This works by preventing the forward reaction of corrosion by inhibiting electron flow, altering pH as well as by forming a physical barrier to oxygen and water vapor. The bags can be formed into 3 dimensional covers for machines, Pallet liners as well as can be supplied in 2 Dimensional bags or sheet for packaging of parts. These bags can be heat sealed using ordinary heat sealing machine or can also be provided with a self-sealable adhesive tape which can be removed to form a sealed packaging system. 3 D bags or 2 D bags can be used as per the desired dimensions and components can be packed and sealed in VCI bags using heat sealer.